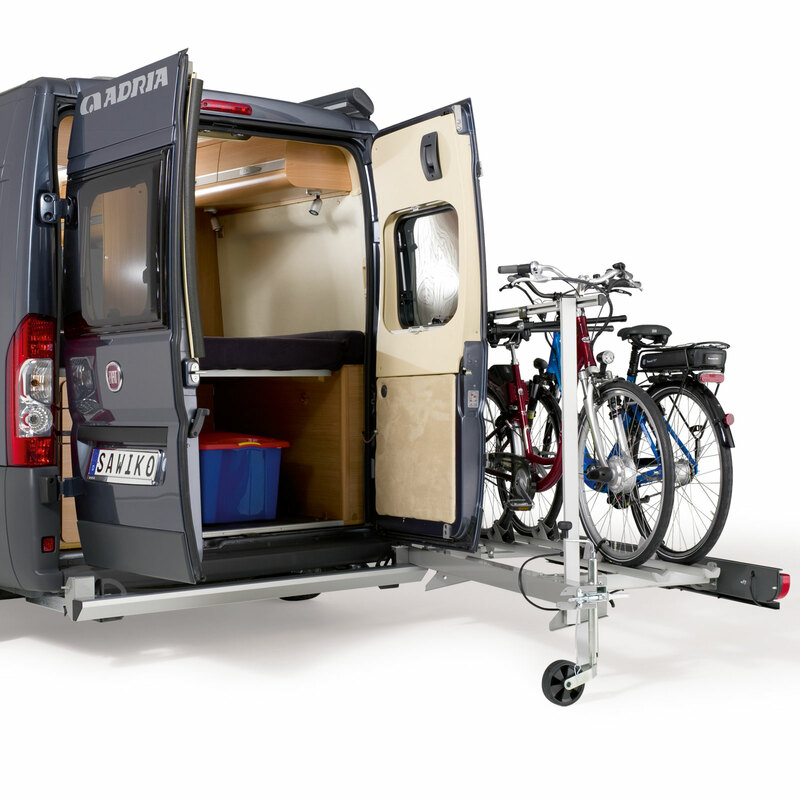 With a folding platform and swivelling action for rear door access, the AGITO Top has an 80kg maximum payload and can carry upto 2 E-Bikes or 3 Cycles. 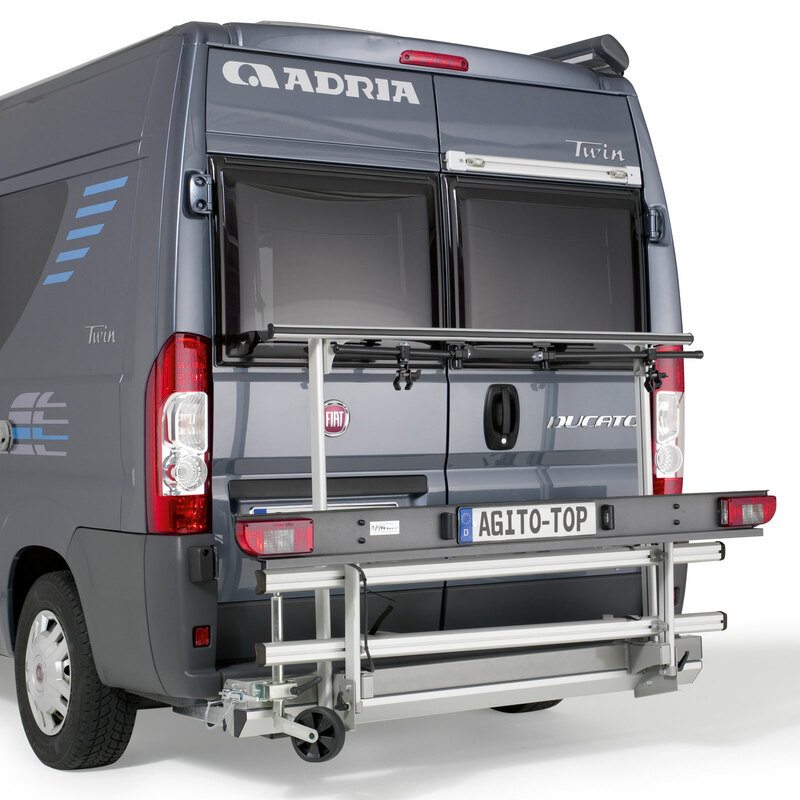 The AGITO Top bicycle carrier system can be easily and completely pivoted to the side to enable the rear doors or tailgates to be fully opened. Even when loaded. To do this, simply loosen the eccentric lock (adjustable) and position the support wheel (standard). Ideal when unloading chairs or when emptying the toilet is necessary. 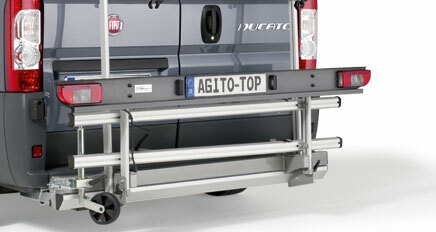 The AGITO Top has a folding transport platform. 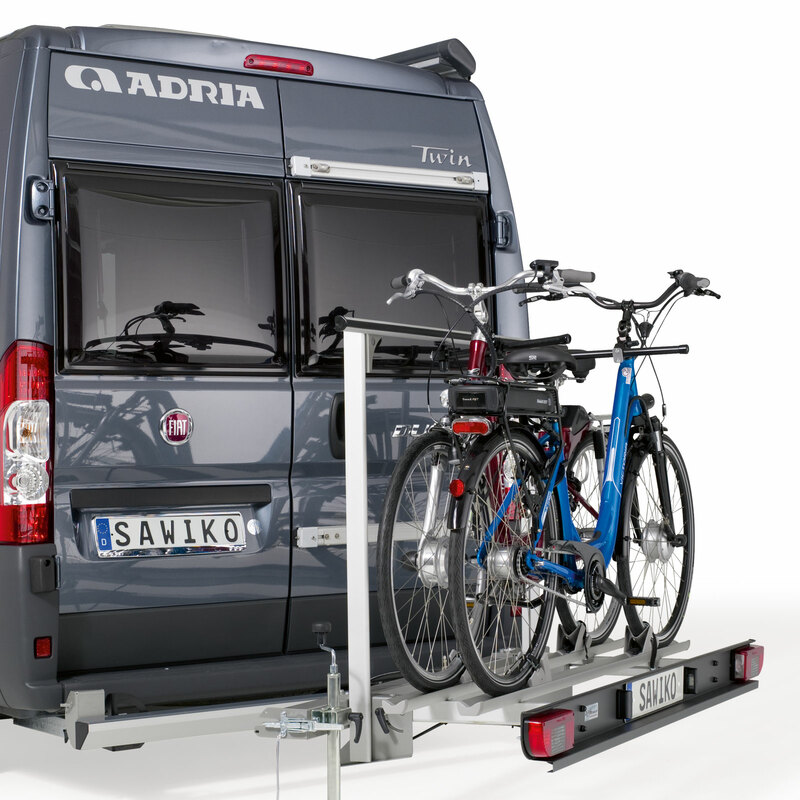 The bicycle carrier can remain on the van without taking up any space. The AGITO Top is perfectly suited for e-bikes thanks to its wide bicycle rails with our ratchet quick release. The AGITO Top is simply swivelled to the side. Even possible when loaded! 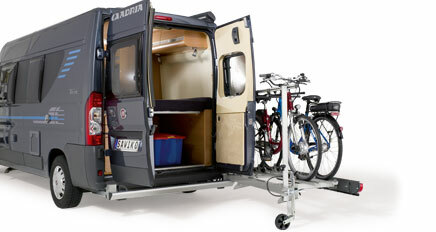 The transport platform can be folded up in a few easy steps to save space. 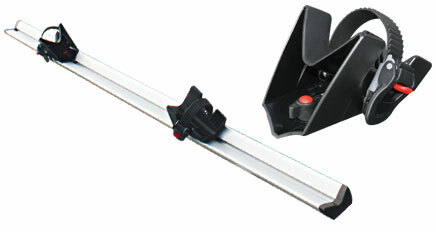 The standard bicycle rails with ratchet quick release are perfect for e-bikes.